The other day I saw a patient for the first time. He was proudly wearing his last pair of spectacles that he had bought from an online company that can now be seen advertising regularly on afternoon television. He had come to see me as he wished to have the health of his eyes checked. He had no wish to purchase spectacles from me, or any other high street outlet to be fair, as he was now very happy that he could purchase spectacles as good as any he had purchased from a traditional optician in the past but, as he put it, ‘at a fraction of the cost’. He went on to comment that it would not be long before he could probably work out his own spectacle prescription by means of computer programmes readily available on line. What I found interesting however was that, while he saw my role as a ‘refractionist’ and a seller of spectacles becoming redundant in the years to come, he steadfastly maintained he would always need to visit an ‘eye expert’ to have the health of his eye checked properly as his eyesight was very important to him and he also appreciated the wider role I played in maintaining his general health. This gentleman was not a young person wedded to the internet for all things but an elderly person who was very well informed on things in general and health matters in particular. This encounter set me thinking about where I would find myself in a few years from now. Is the world of optometry going to change that much? Is he indeed right that our traditional role will change massively in the years to come. For those of you who read this column on a regular basis you will know this is something I have alluded to before. The difference this time is it was not me making the assertions but a real member of the public. Okay, so it was only one person saying this but then again he also made the comment that the company who he bought his spectacles from must be doing all right if they can now afford to sponsor programmes on mainstream daytime television. After all don’t we see other opticians doing the same thing? He has a point I think. So where does that leave us all? Well the good news must surely be the advent of yet another 10-year plan for the NHS. Yes, I accept we have seen many of these before and yes I accept that much of the content will have been regurgitated from earlier failed plans but this time there would appear to be a fundamental change in the future vision for the NHS. There is now, for possibly the first time, a realisation that the NHS cannot survive using its current model. There has to be a significant switch in emphasis to providing services within the primary care arena. It is the primary care arena where patients must be seen first and treated. The emphasis is on prevention and maintenance of good health. So the good news is that we as optometrists are ideally placed to deliver within this new structure. A simple example of this is the screening programme for hydroxchloroquine users. We have been told time and again by our professional bodies and negotiators of the progress they have made in gaining recognition of our capabilities and that the highly successful work they have undertaken with the not insignificant sums of money we have paid them has placed optometry in a highly respected arena where we are recognised for the great work we do. This therefore means they have presumably placed us where it will now be easy to move forward delivering primary eye health care in the community in a way many of us have sought for years. Given the massive injection of money into primary care going forwards I can only assume some of this will already have been earmarked to come to optometry, given the excellent groundwork these organisations tell us they have already achieved. The good news here is that if we do find the golden goose of refraction and spectacle sales slipping away in the future we can be assured that the work done to date in establishing optometry as a primary healthcare provider will have been invaluable. 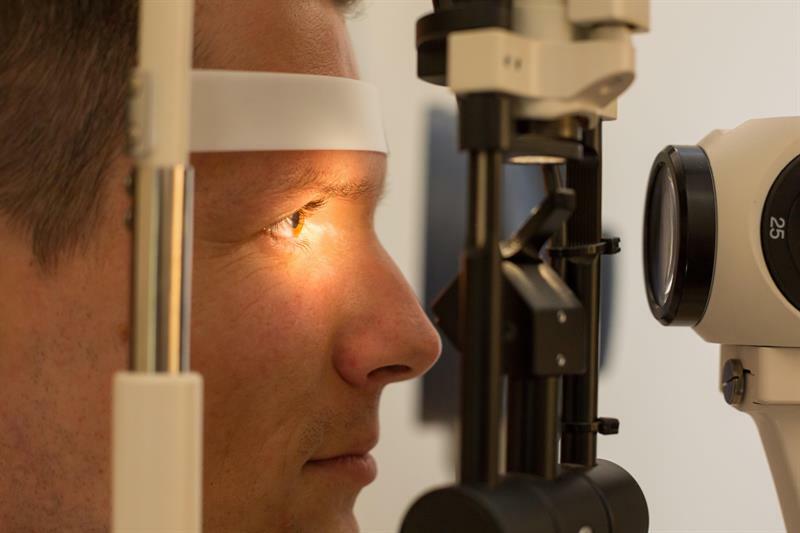 Indeed there has been some evidence that some of the larger optical retailers have begun to try to reposition their retail shops as healthcare outlets. I can only assume this is so that as we move away from a reliance on refraction and spectacle sales in the future the public will view these shops actually as healthcare providers and not just retailers. My main hope here is that what we have been told to date about the progress made in getting optometry recognised as the primary source of eye healthcare delivery is actually correct and that therefore we need not fear the future if we alter our more traditional roles. Times are changing but the new NHS Plan affords us the biggest opportunity to determine a new future for primary care optometry.